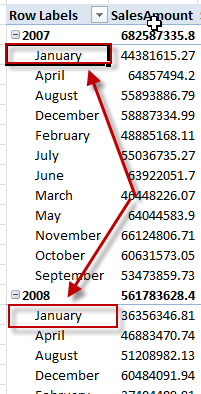 This entry was posted on June 23, 2010 at 9:15 pm	and is filed under PowerPivot. Tagged: powerpivot. You can follow any responses to this entry through the RSS 2.0 feed. You can leave a response, or trackback from your own site. 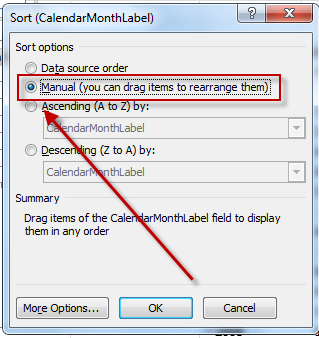 The manual sort does not work once a pivot table is refreshed with a slicer. That is absolutely correct. 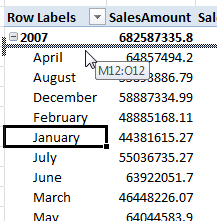 So instead you can use this technique and that should solve the issue https://denglishbi.wordpress.com/2010/09/14/sorting-powerpivot-labels-continued/ until you are using the new release of PowerPivot with SQL 2012 that provides the ability to sort the column of data based on another column (what’s new in PowerPivot – http://technet.microsoft.com/en-us/library/hh272053(v=sql.110).aspx). I beieve that will only work when sorting by Day or Month. I have an alpha column that I need to have a custom sort. 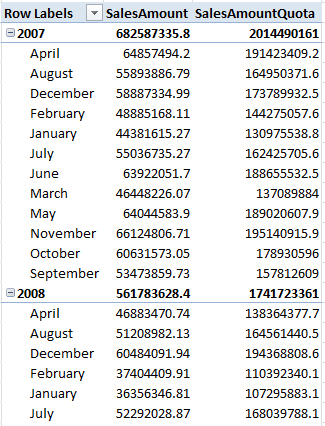 Yes, if you are not working with these types of examples then you will be out of luck until v2 of PowerPivot. 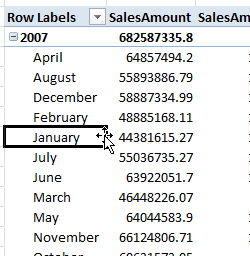 You would need to incorporate the sort into a calculated column to reference unfortunately for now if you want this to be included in the PivotTable generated by PowerPivot. Otherwise you could possibly try referencing the PowerPivot PivotTable that is generated in another worksheet and do some good old lookups.